Congestion in Metro Vancouver has a hidden cost of anywhere from $500-million to $1.2-billion according to a new study from Clean Energy Canada and non-partisan think-tank the C.D. Howe Institute. Congestion in Metro Vancouver has a hidden cost of between $500-million to $1.2-billion according to a new study from Clean Energy Canada and policy research organization the C.D. Howe Institute. "What the C.D. Howe Institute study looks at is what are the hidden costs," senior policy analyst Ben Dachis told CBC Radio's The Early Edition. "When people decide that congestion is just too bad to even start travelling, and rather than going downtown to go to a restaurant or going to see a sports game — a Whitecaps game or a BC Lions game — they decide to stay at home." Dachis said less congestion would also lead to higher wages, with every worker making up to $950 more per year. "What we see around the world is when people are able to have more connections, meet more often in person, that often leads to higher wages," he said. 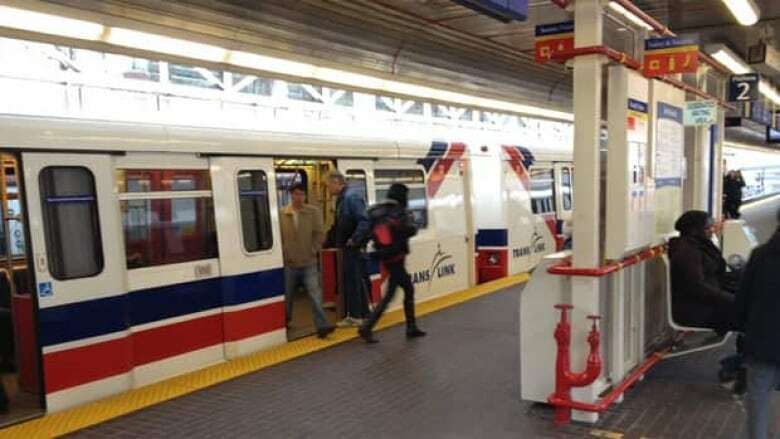 The study supports a "yes" vote in the upcoming transit plebiscite, which will ask Metro Vancouver residents to support a 0.5 per cent sales tax to pay for transit improvements. Dachis said it's unclear what the implication of a "no" vote would be. "It's difficult to say what the long term implications of where people are going to live are, but the nature of transportation infrastructure — enabling more connections — that is something that is going to benefit society." Metro Vancouver's mayor's council on transit has estimated the costs of congestion at $1-billion by 2045, which Dachis said only takes into account visible costs to the economy, such as extra time and operating cost of vehicles and the costs of crashes and emissions costs. The Canadian Taxpayers Federation and Canadian Federation for Independent Business have both said they oppose the transit referendum, citing concerns over TransLink's spending. To hear the full interview with Ben Dachis, click the audio labelled: C.D. Howe Institute report finds hidden costs of congestion.